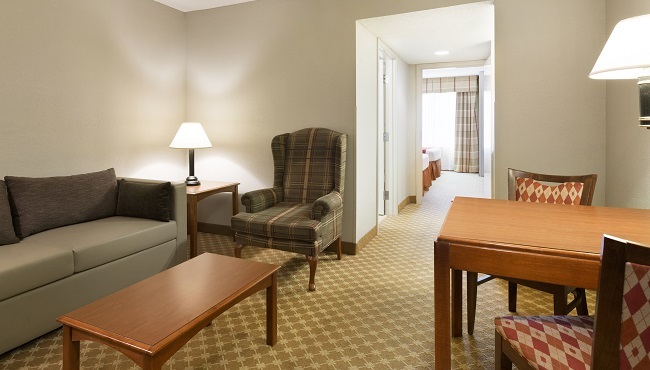 There’s room for everyone at the Country Inn & Suites, Myrtle Beach, SC thanks to our pet-friendly accommodations. 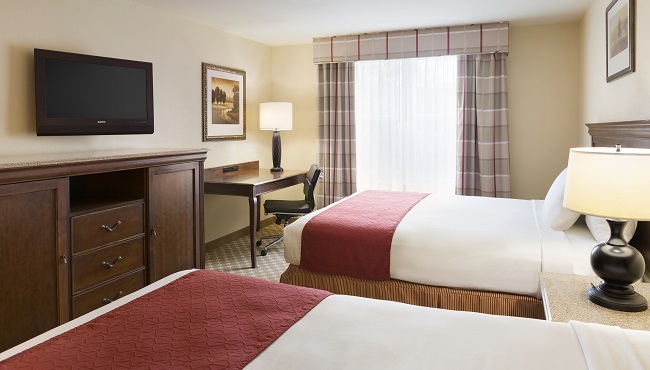 In-room microwaves and refrigerators make it easy for you to kick back with a warm snack and a cold drink while you tune in to an HBO show on your flat-screen TV. 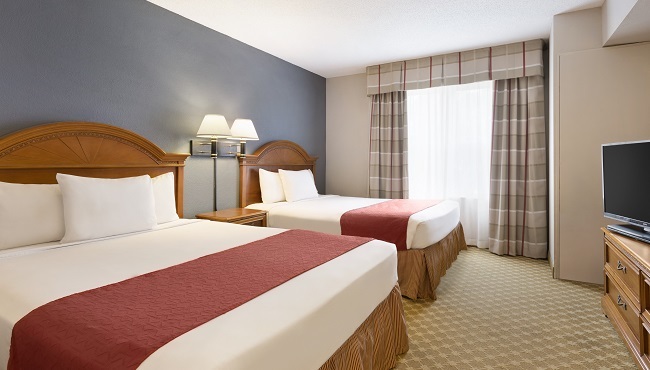 With free Wi-Fi, you can scroll through social media or send emails before you drift off to sleep on your comfortable bed. 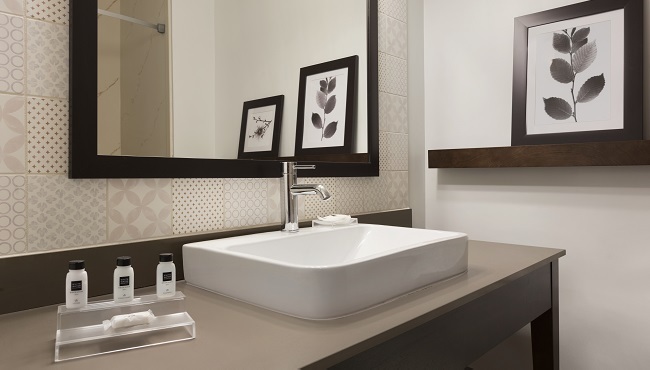 When you wake, enjoy your first cup of coffee thanks to your in-room coffeemaker. 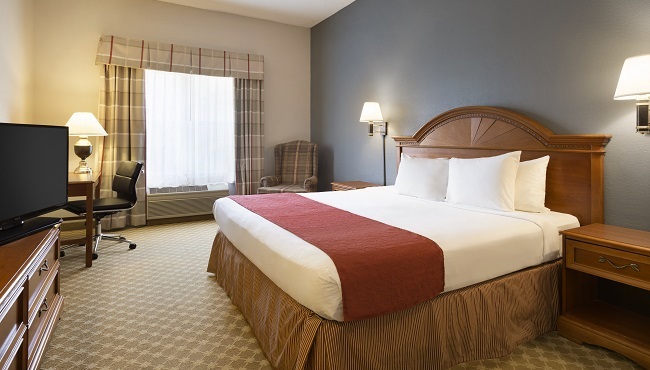 Perfect for overnight business travelers and couples, our Standard Rooms offer either one king bed or two queen beds in a bright, cheerful space. Spread out on the sleeper sofa to watch an HBO special before drifting off to sleep on the king bed in this open-concept hotel suite. Special occasions call for upgraded accommodations, such as our romantic Whirlpool Suite with oak furniture and a two-person whirlpool. 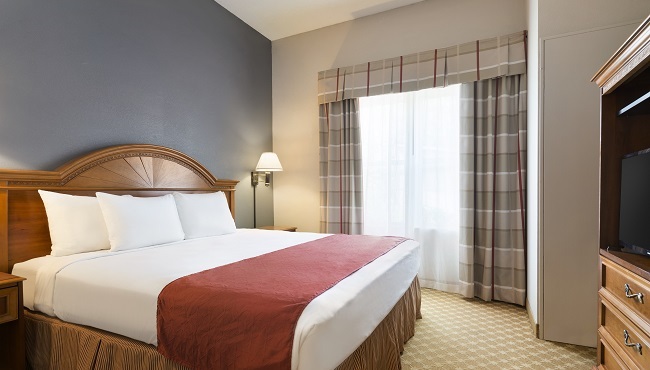 Give your family extra elbow room in our One-bedroom Suite, which features a floor plan with a spacious living room and a separate bedroom accented in rich cherry woods. 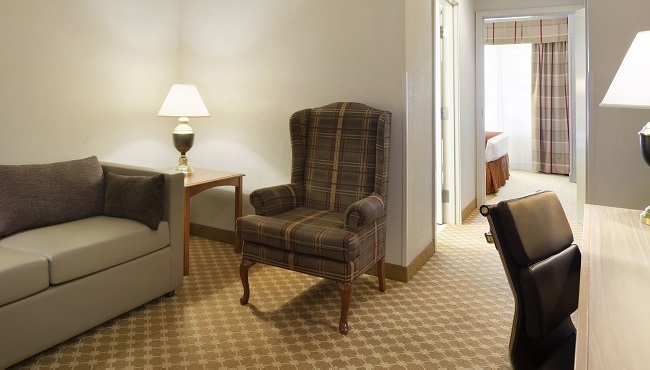 The living room offers a sleeper sofa, an additional closet, a bar area and more.